When I was pregnant with Faye, we lived in our first house. 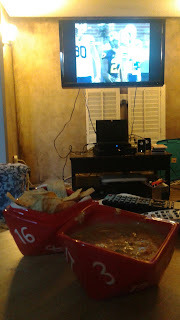 On Saturday nights, while Jeffrey did his homework, Keith and I would fold clothes, eat nachos and watch BYU football. It was a wonderful bonding time that we shared, and we both really enjoyed it. I learned a lot about football that I never knew. It helped that a lifetime friend and a high school football coach lived in our basement and could clarify things for me when I was confused. In the years past, we were not able to continue this tradition because we didn't have access to ESPN. This morning, however, I happened to read an article about BYU football, and it mentioned that the game was airing today on ABC, game time 1 o'clock. That, I have access to! I told Keith about our good luck, and he and I began to excitedly prepare for the game. In my preparations, I double checked the time for the game, and to my horror, it had already begun, and indeed, was half over! We rushed downstairs to the TV and turned it on. Unfortunately, we haven't used our TV stations since we moved here (thank you, Netflix!) and setting it up took a bit of time. 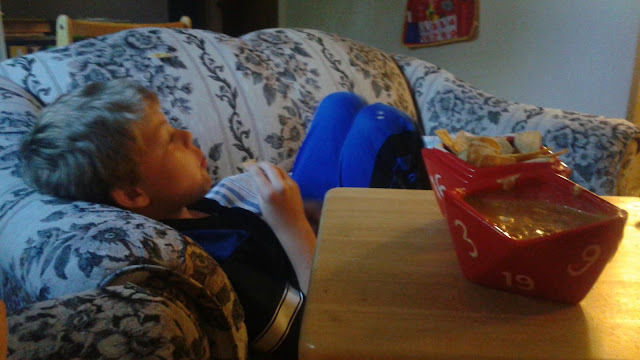 While we were waiting for the box to "access network" the kids and I rushed to the van, and hurried to the store to get ingredients for the dip, and some chips, all while listening to the disappointing game on the radio. We got home, and the network still wasn't accessed. In desperation, we hooked up the computer and some speakers to the TV, and watched the last 10 minutes (which took an hour) of the game, all while moaning about the losses. Sniff. 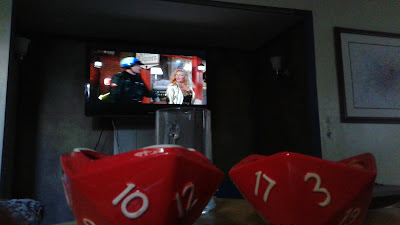 But it didn't matter, because Keith, Faye, Beth and I were watching the game together, and I just loved having them around me, asking questions and getting excited or disappointed with me. And the game ended. We missed the majority of it, and none of us wanted our bonding time to end. Which is why we turned to the Sanderson Sisters and their Hocus Pocus for comfort. I'd say, that although our team lost, I think we still won in the end. Amy's BYU Dip for the Win! 1/3 cup of milk. Or more, depending on if it needs it. a squirt of lemon juice. Combine everything in the pot and stir as the cheeses melt. Today I accidentally added too much milk, so I also threw in a block of cream cheese as well. When the cheese is all melted, put dip into a ridiculously stylin' nerd bowl, like the one featured in the pictures above. 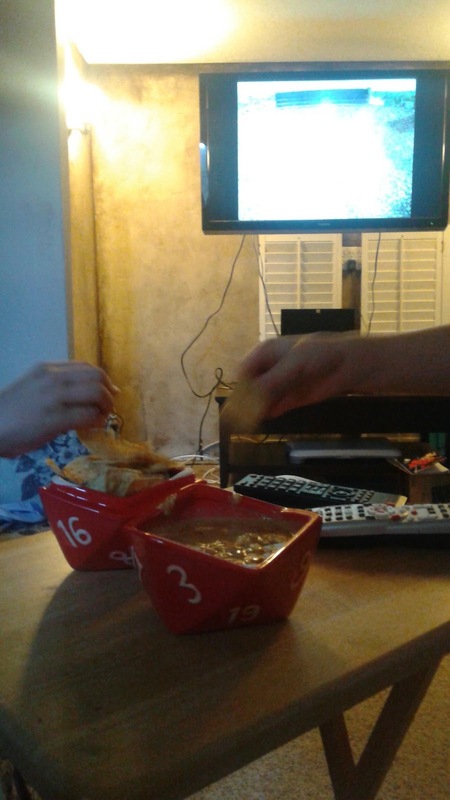 The nerd bowl enhances the flavor, and the dipping experience, or so I have been told. This is to be made every game day. I swear, if I had made it before the game had started, we would have won today. Just sayin'.